A hotline to the freshest hip-hop tracks and trending conversations. With artists regularly dropping new tracks and mixtapes for free, then participating in a direct conversation with fans and followers to spread the word, we formulated an idea for connecting trending music with the conversation happening live around it on Twitter. Reconnecting with a long-time collaborator of Hydric’s, Stephen Phillips (Founder, We Are Hunted and Twitter #Music, Popgun), we found hip-hop fans to be one of the most highly engaged yet underserved music audiences online. Thus, White Label was born. 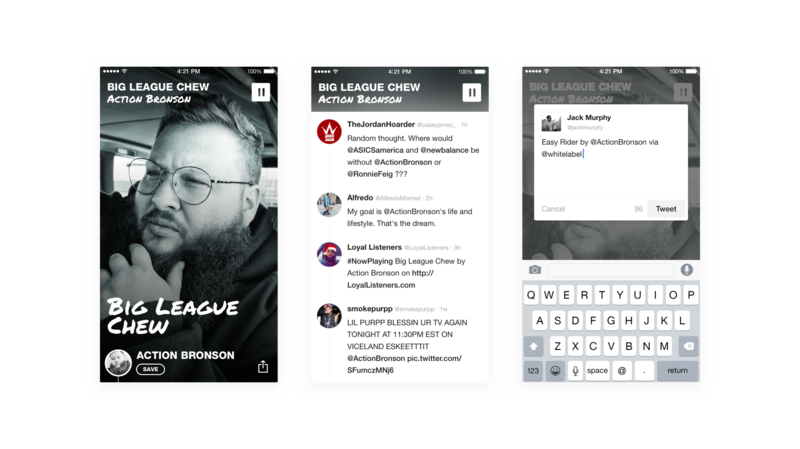 White Label aimed to cut through the noise and distill trending behavior into an intuitive mobile app experience; pushing the hottest new hip-hop alongside the most important tweets about it. We set out to design an app so light and intuitive it required no walkthrough for anyone to start using it. From experience, we knew Soundcloud to be one of the best sources for new music. At the time of launch in 2014, 48 of the top 100 tracks on SoundCloud were hip-hop. Artists, labels, blogs and PR teams used the platform to distribute singles and build hype ahead of an official release. Using their public APIs, we monitored SoundCloud and Twitter to determine which hip-hop tracks were trending and updated the app with new tracks each day. 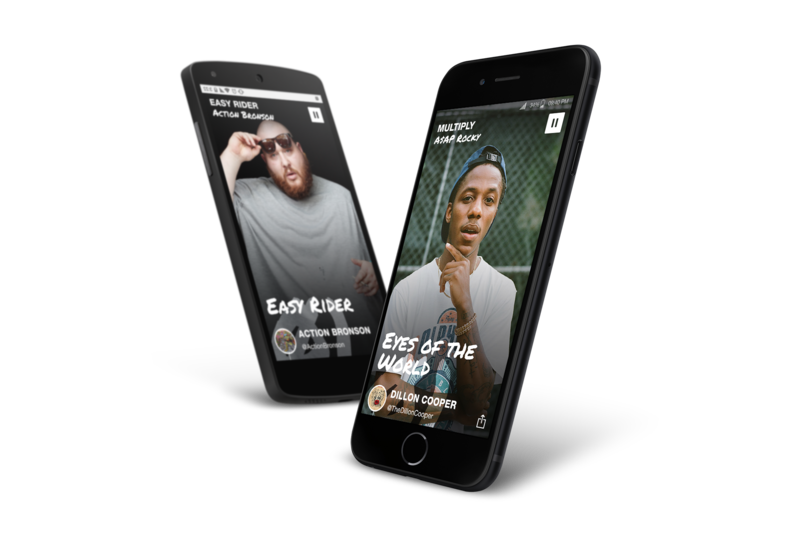 With no registration required, users could download the app and connect with the freshest tracks instantly. Full-length playback within the app was designed to be instantly usable, quick to kickoff, and continuous in the background. Swipe gestures were utilized to navigate through the chart and explore the latest from Twitter. Track tweeting was included to make it easy for anyone to join the conversation. Best of all, there was White Label was designed to be quick, intuitive and easy to use, with no need for a walkthrough. We launched the iOS app in late 2014, following up with an Android app in early 2015. Quality press coverage helped us grow a significant base of monthly active users, who went on to discover over 500,000 new hip-hop tracks. Following changes to the SoundCloud API terms we sunsetted White Label in October 2017.